Top A-List Calabar most celebrated Artistes came together to unleash a joint Theme Song which they title "CALABAR". As an appreciation and celebration of their very own state,culture and heritage. 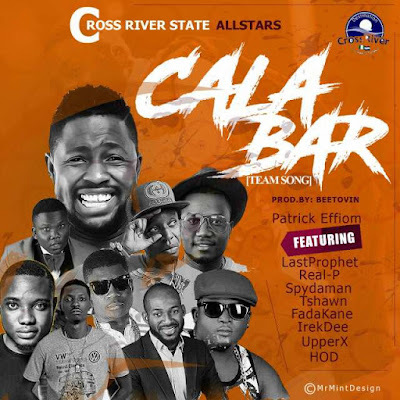 What a better way to End the year than with a smashing Theme Song from your favourite Calabar Artistes Patrick Shadow (Airtel Ambassador), Spydaman, Fadakane, Upper X, Real Pee, Tshawn, Irek Dee and Cross River State most successful comedians Last Prophet & HOD.